New Jersey has really been stepping up its veg game as of late. Which is good cuz in my humble, everything else about NJ is straight, half steppin as of late. NJ is a crazy place, it’s just nuts. I guess you kind of have to live here to get the full on ‘Jersey Experience’ which is not all that fun at times and never for the faint of heart. With that said, if you do end up in my state and manage to navigate your way around without having a heart attack or losing a rim, tire or suspension on one of our infamous pot holes…you must check out PositiviTea. Nestled in downtown Verona, this little spot is truly a gem. Wraps, burgers, waffles, teas and soft serve make this the perfect place to eat till your vegan hearts content. Their burgers are black bean based, their wraps are made with a chickpea based protein and their soft serve in N’Ice Cream, which is off the hook. Everyone that works at PositiviTea is nice and the place is always clean. Their produce and food are all top-notch (think Whole Foods produce) and everything is prepared fresh to order. I have been going here almost once a week lately since it’s only like 5 miles from my house. The food is consistently good and I have navigated my way thru many of their meals but I will say their ‘Drunkin Chicken’ is my favorite. And since we all know I can’t say no to sweets, for dessert, I go with an ‘All Jersey’ N’Ice cream sundae. SuTao Cafe was a surprise of all surprises. I was visiting my sister and went out to grab some food, saw a sign for a Subway and figured that would work. Once I got out of the car and took a look at the strip mall sign again I realized there was a VEGETARIAN restaurant like 4 doors down. So needless to say, Subway lost and SuTao showed us that we indeed, won. SuTao strives to bring healthy food that tastes good to the masses, they educate their patrons about the health benefits of eating plants, on their menu’s. They let people know that things like heart and liver disease as well as high blood pressure, cancer and diabetes, all come to be through a bad diet. I find this to be very unique and I wish more vegetarian places would let people know this. Just reading those facts could change someones life forever. Now to the food. Wonderful. Fresh. Tasty. And authentic. 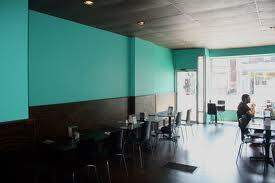 The menu is very extensive and they offer both a lunch and dinner buffet as well as a full menu. They have a mock version of everything you could ever want and yes, they even offer vegan ice cream. I opted for a lunch special of sweet and sour chicken, it came with soup or a salad and it was so good. The portion size was great and the food was just off the charts. SuTao was the best surprise I have had in a while. SuTao Cafe. Great Valley Shopping Center. Corner of Rt. 401 and Rt. 30. 81 Lancaster Ave. Malvern, PA. 19355. Hours Of Operation: Monday-Thursday: 11:30-9:30. Friday-Saturday: 11:30-10:00. Sunday: 12:30-9:30. Restaurant Review: Strong Hearts Cafe. 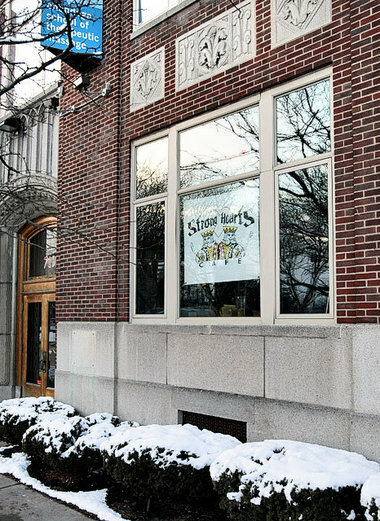 Strong Hearts Cafe in Syracuse, New York is one of those places that just makes you feel good, before you even get to the food. It is comfortable, comforting and staffed by a crew of truly awesome people. Both times I have been there, everyone was so cool and so helpful. The vibe is low-key and laid back, this is a college town after all and Strong Hearts reflects that in it’s menu options and pricing. Did I mention they serve breakfast, all day as well? With a menu chock full of rather healthy vegan comfort foods, Strong Hearts brings it on. Grilled Cheese, Toasted PB and J, Milk Shakes and Desserts galore. Teas, coffees and soups are also available. Strong Hearts serves up a side of Eco-Friendly with it’s vegan deliciousness. They do not use styrofoams or plastics, all food waste is composted and the packaging they use is 100% biodegradable and compostable. Add to that, they use locally grown produce, organic and fair trade coffees and teas. When it comes to their food they off up all natural, organic when available, cholesterol free, with no hfcs, artificial sweeteners or trans fats. 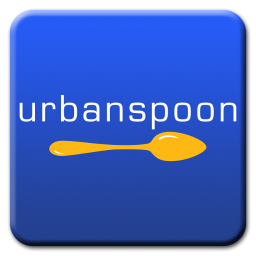 Their food is awesome, I have tried a several of the things they serve up and cannot say what I like best. I am a breakfast, all day everyday type of chick so right there, I was sold on this place. If you are into milkshakes then this is your spot, I mean the list goes on and on for days. If you are into healthy fare such as a salad or a wrap then you are covered at Strong Hearts as well. Almost anything you want from mock chicken salad, bbq tempeh, seitan sandwiches and tofurky, are available on their menu. http://www.strongheartscafe.com/ Strong Hearts Cafe Homepage. This cash only establishment is open for dinner 7 days a week and offers their amazing brunch on the weekends. Dinner is Monday-Friday from 5pm-11pm. Saturday from 4pm-11pm and Sunday from 4pm-10pm. Brunch is served both Saturday and Sunday from 11am-3pm. 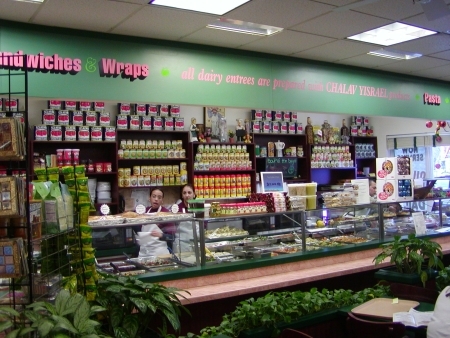 Hogtown Vegan is located at 834 Bloor St. W. Toronto, Ontario. If you are in the mood for the ultimate vegan comfort food, you MUST hit up Hogtown when you are in Toronto. Brunch and Dinner menus do vary a bit. Jerusalem West is a Kosher, Vegetarian restaurant that does serve fish. So I guess that would make it a Pescetarian restaurant, right? Anyways, fish or not Jerusalem is the ish. It is set up ‘cafeteria style’ you step in line and peep the selection, choose what you want and keep it moving. They offer everything, I mean literally you can get a fresh made veggie sushi roll and a whole cheese pizza to go. 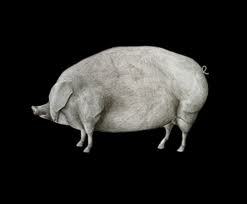 It is the perfect place for those who cannot make up their minds, you can just take some of everything and chow happy. One thing I must touch on, well two actually when it comes to Jerusalem West are…first, their pizza is amazing. Trust me, I found it odd to be drooling over a slice of kosher pizza here in Jerz when I am surrounded by the best pizza in America but I do. I love their pizza, it is just perfect. Old school, thin crust, not too much if anything just a simple pizza. Secondly, their falafel should be illegal, I am going to turn into a falafel with hummus because of this place. I just moved like 3 blocks from this place, eat there 2x a week and cannot get enough. Never had better falafel in my life. Period. Apparently I am not the only one who feels this way cuz the web reviews all mention their killer falafel. The best thing about Jerusalem (besides the fact that it is in my front yard) is that it is cheap. Everything they serve is under $10, falafel is only $5, this is something they do consciously and I applaud them for that. They make it easy to eat healthy without breaking the bank. I personally can eat, so when I go out and have to pay $40 for my dinner, I does not settle well with me. I can chow at Jerusalem and spend $10 for falafel, a slice, a drink and maybe some ‘cola flavored’ mentos if I am feeling naughty. It is actually affordable to eat at Jerusalem every night and I bet some people in my hood do. Besides offering a whole plethora of hot food options, they also sell lots of candies, cakes, cookies and other Kosher, vegetarian items. Location and hours are listed below, keep in mind they observe the Sabbath and are closed from 3pm on Friday’s until 11am on Sunday’s. Tasty Treats Review: Papa Ganache. So my date with Papa Ganache had been a long time coming. I don’t live close to nor do I frequent the Jersey Shore so getting there was always totally out of my way. Then my parents decided to move down the shore and viola, I was to be passing right by the exit for Keyport, the town where this fabulous little vegan bakery is located. Everything they offer is vegan but they also serve up some gluten and sugar-free options. They also use organic ingredients as much as possible. 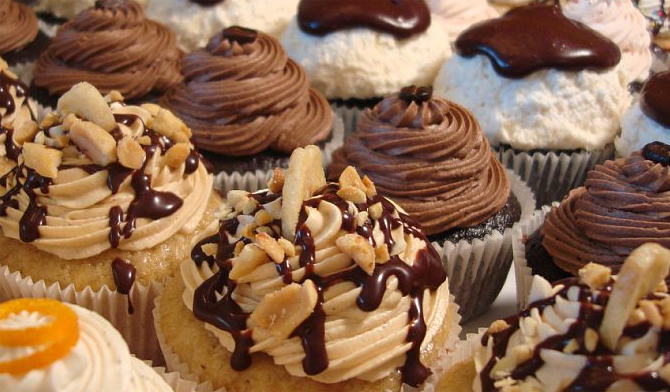 Tucked away down by the water, Papa Ganache is a vegan bakery with a heart. 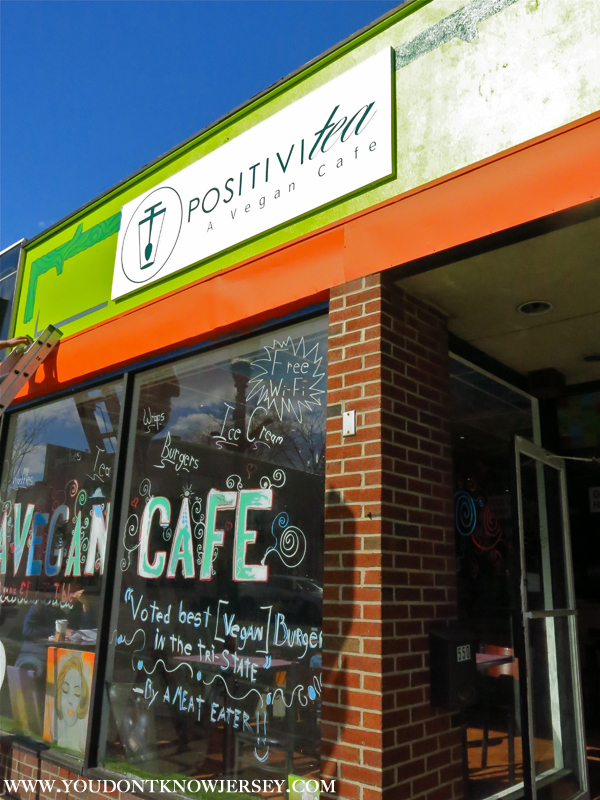 Not only do they serve up some of the best vegan treats ever, they also run the Papa Ganache Project which helps at risk youths and families learn how to overcome their challenges and build upon their life skills. So not only are you support the vegan game you are also help others. When I walked in I just wanted one of everything so I tried 6 different cupcakes and some of this delicious ‘yodel’ type roll cake. Everything was better than the next, the Peanut Butter Cup, What’s Up Bunny (carrot cake) and a Mint Chocolate one were my favorites. I didn’t get around to trying the muffins or other pastries they offer but I will next time. Papa Ganache. 25 Church St. Keyport, NJ. 07735. 732-217-1750. Open Tuesday-Friday 10am-6pm. Saturday 9am-6pm. Sunday 9am-3pm. Closed Mondays. Veg dining in San Fran is simply unparalleled to anywhere I have ever been, NYC comes in at a close second but then Toronto is right at its heels. I have been blessed with a life that allows me to travel quite a bit therefore I have eaten at 100’s of vegetarian restaurants all over the world in the past 4 years. Not one comes close to The Source. I am sorry to offend anyone, it is not meant as a dis to the 100’s of other veg restaurants I have shoved my pie hole full at, The Source is simply in it to win it. Mission Accomplished. 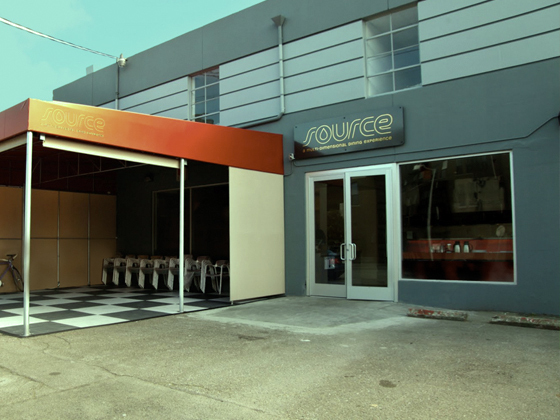 Not only is The Source located in a super cool part of San Fran, it is owned by a super cool guy and the super amazing food is cooked by his chef brother. Being that it is such a small world, the owner of The Source is O.G.N.J. (Original Gangsta New Jersey) and just so happened to live 8 blocks from me when he did reside here. Having honed his restaurant ownership skills here in Jerz he longed for a change of pace, a new city and a new restaurant and this is how The Source was born. He actually sold his fathers butcher shop in Fort Lee, NJ and used that money to open The Source. How cool is that? 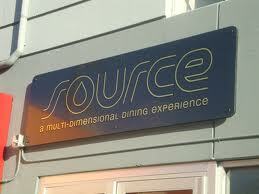 The Source is located in a strip mall type situation, it is a decent size and it smells like heaven when you walk in. Pizza was the first thing I smelled and it was PIZZA not some ‘I Can’t Believe It’s Not’ type stuff, I mean real deal, NJ/NYC smelling pizza. Sold. So once we got the menu I was just blown away and pissed at the same time. Pissed it was our last night in San Fran and it was our first time at The Source. I could eat every single item on that menu, if I lived in San Fran they would need to take a restraining order out on me or just let me work there, that is how often I would be there. Everyday. No joke. It is that good. When it comes to the food situation they offer everything your veg heart desires. Want to be all healthy? Then go for a raw super greens salad, they have an awesome selection of healthy salads. Want to get down with some fried chow? The Source has you covered, from these AMAZING spicy buffalo bites (the best thing I ever tasted in my life, right up thee with the Po Boy I had at Green in Arizona) to spring rolls. Their pizza is to die for, vegan and vegetarian style, I went vegetarian and must say the pizza was in the top 10 I ever had in my life. Then once you stuff your face with food, stuff it again with dessert. Vegan ‘Twinkies’ or ‘Hostess’ cupcakes anyone? Yeah that’s what I thought. The Source. 11 Division Street @ Deharo. San Francisco, CA. 415-864-9000. Open 7 Days From 11am-10pm.